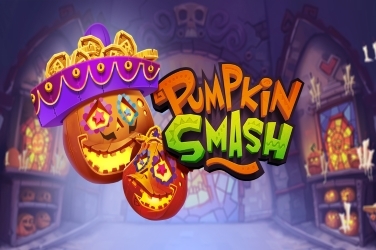 Pumpkin Smash slots may have been released in time for Halloween in October 2017 but it has more of a Day of the Dead theme to its format. 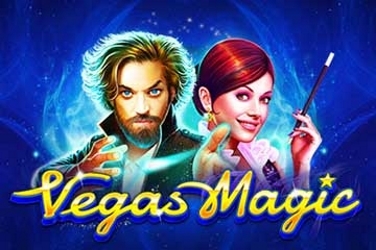 Rather than giving players a scary online slots the Yggdrasil designers take them to a Mexican Fiesta where they can go Trick or Treat to gather their treasures. With a festival style soundtrack and appropriate noise effects that adds to the party atmosphere of the game. The backdrop to the game is a cemetery beneath a starry night sky with gravestones at either side of the 5 reels. These are transparent to show the gated entrance which is set within ornate stone pillars that are littered with pumpkins and unlit candles. 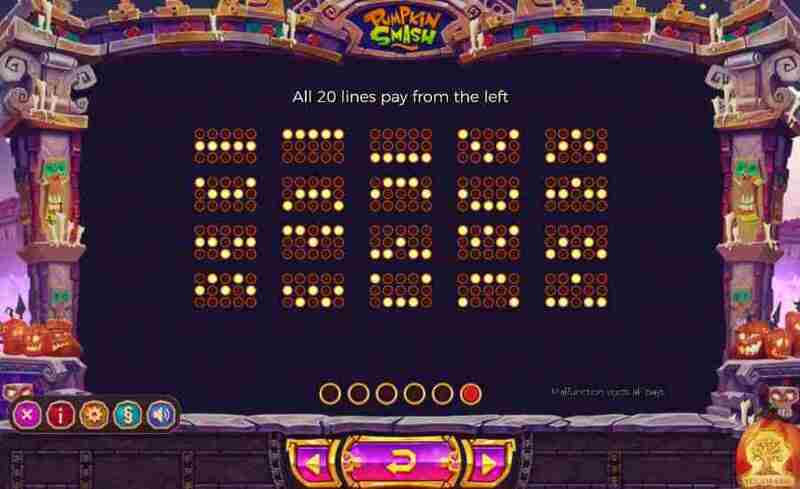 It is a lively game that players can enjoy on any device with the bright colorful symbols looking striking on the screen. 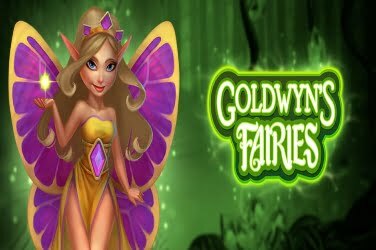 Desktops, Tablets and html5 Mobiles can all be used to access this slots via Yggdrasil online casinos and players from around the globe are sure to welcome the 20 structured pay lines along with the unique Bonus Feature that has been included. 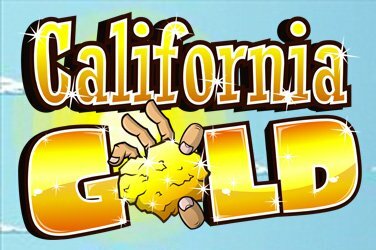 The lowest paying symbols are card related as with most online slots games but they have been beautifully designed. 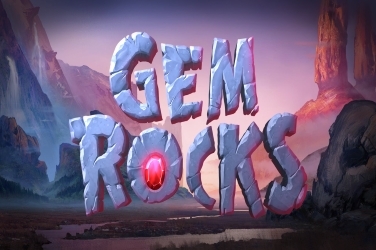 So players will find a Blue Diamond, a Green Club and a Purple Spade image being used here. However the Red Heart has been given a spooky twist as it looks more like a bat when it lands on the games reels. 4x Skulls make up the higher paying symbols and are colored in Blue, Green, Red and Purple shades, each wearing a Sombrero in keeping with the Mexican theme. 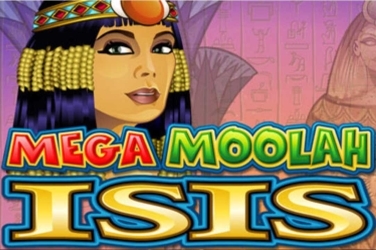 Their grinning faces completing the cheerful feel that players will find in this online slots release. Wild – the “Wild” symbol wears a Sombrero with a skull design and is an important Feature in the base game. When it appears on the reels if any of the Basic Symbols can be replaced to create a winning combination then it will alter the image. 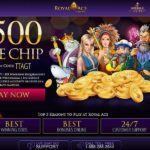 Meaning that players can benefit from further opportunities to add to their jackpot amount. 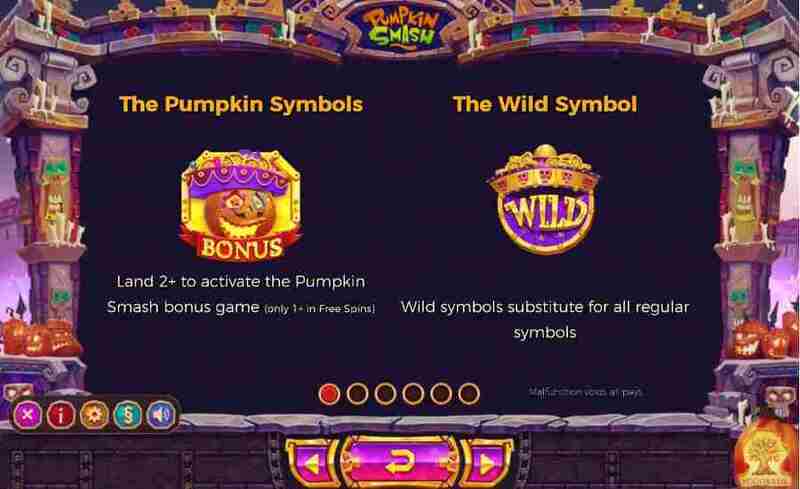 Scatter – a smiling Jack O Lantern “Bonus” symbol can burst onto the screen at any time during the Pumpkin Smash slots game. 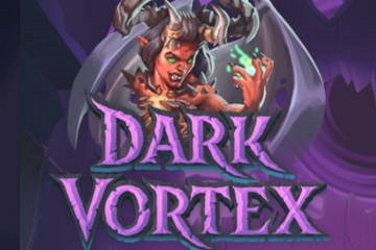 During the base game only 2x of these need to be spun for players to reach the additional Rounds that are included in the games format. 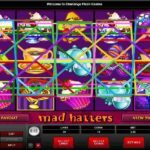 Up to 32x Free Spins if there are more than 3x symbols on the reels. A 2x – 7x Multiplier is applied to a random symbol which even includes the “Bonus” symbol if 3x or more are spun. From 2x – 375x the players stake will be added to the running jackpot balance. 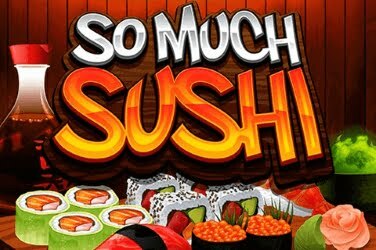 A maximum of 16x additional Free Spins if 3x more fall into position. An extra symbol other than the “Wild” is given a 2x-7x Multiplier. The players wager can be increased by a random amount, the highest being 875x if 5x Jack O Lanterns have been revealed. 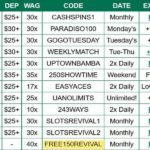 Wagers ranging from 0.20 to 100.00 can be placed on any of the 20 winning pay lines that this slots game hides among its 5 reels. 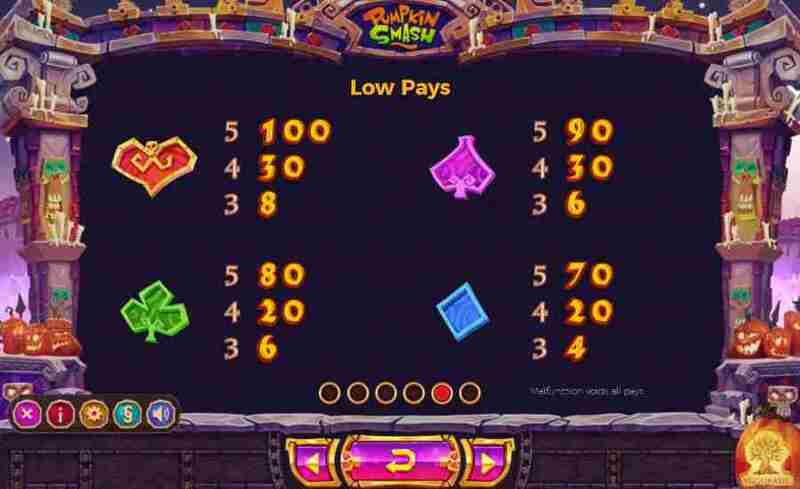 This makes it a game which can prove appealing to both high and low rollers. 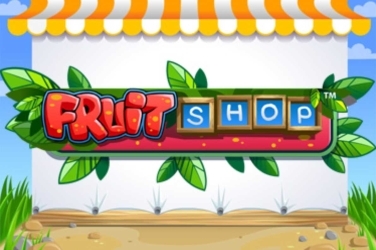 Amounts can be changed before each spin by using the +/- button on the Control Panel at the bottom of the screen so there are a variety of options for players to choose from. 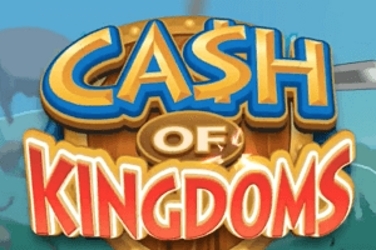 This is a Medium to High Variance game which will reward players with regular cash prizes. However if they want to chase the Bonus Round although this may prove difficult it can provide some lucrative returns on the players initial stake if their budget will allow. Players can take a Siesta during this game if they want to be less interactive with the Yggdrasil software. This simply means that Auto Play can be activated before the game begins so the reels will spin automatically until the allotted time ends. 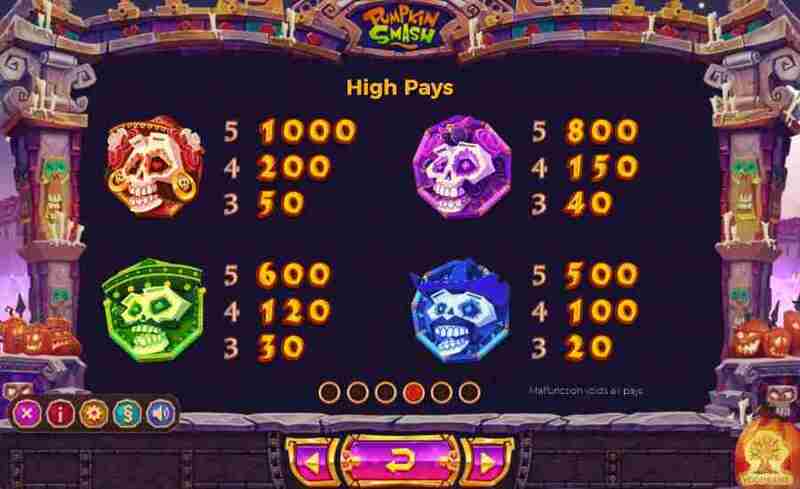 As the Pumpkin Smash slots game has an RTP of 96.20% it is definitely worth a look for any player who likes a Halloween theme that comes with a Mexican party twist. 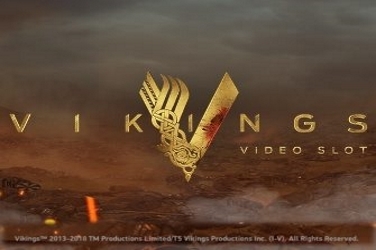 And with Wilds and some imaginative Bonus Features there is plenty to keep them entertained. 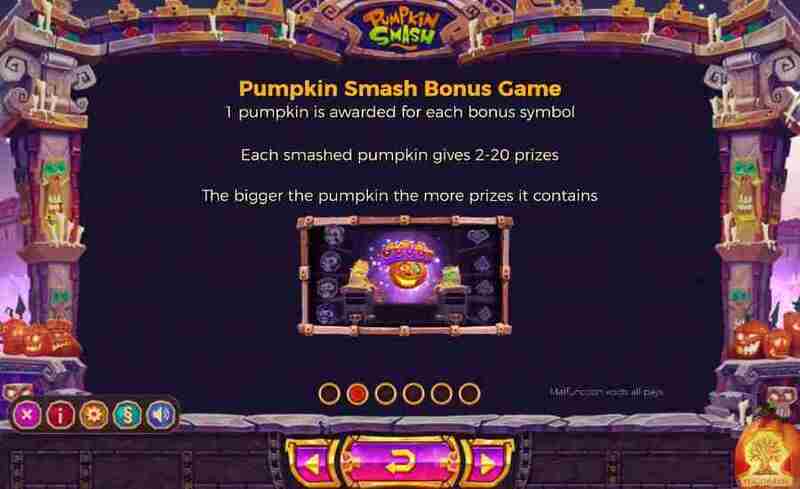 – Play Pumpkin Smash here with a free spin or visit Yggdrasil casinos and play for real money.